General Atomics invite you to find out how they are changing the way defense systems convert, manage and store energy and power to improve mission assurance and meet operational demands. From surface platforms to space, General Atomics is on the forefront of creating advanced systems to help defend against a widening array of current and future threats. GA’s stand at MAST Asia will feature their first-of-kind electromagnetic aircraft launch system (being installed on the U.S. Navy’s three new Ford-class aircraft carriers). 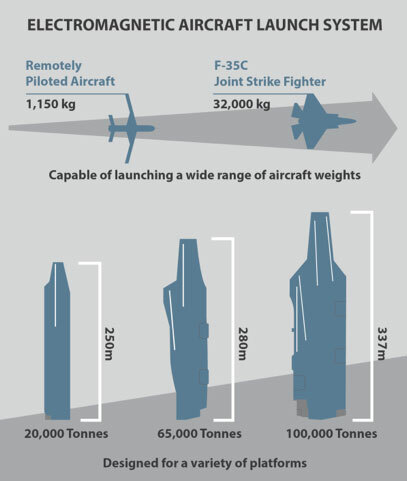 The electromagnetic launch system reduces maintenance and manning requirements, resulting in greater efficiencies and operational availability. The system’s flexible architecture accommodates a variety of ship platforms and a wide range of aircraft, making it suitable for new ship designs. GA are advancing the development of a multi-mission railgun weapon system, which uses electromagnetic force to launch hypersonic guided projectiles from land and sea-based platforms in support of air and missile defense. 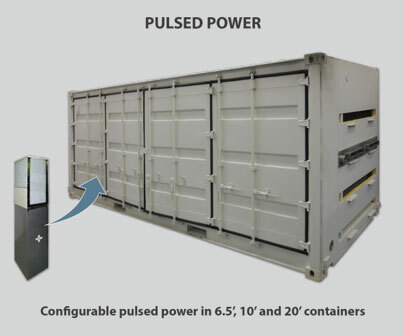 Our railgun pulsed power container system provides double the energy density in a reduced container footprint, providing greater flexibility for ship and land-based installations, and improved maneuverability for mobile applications. We’re also delivering safe, scalable Lithium-ion fault tolerant battery systems for surface ships and submersibles, providing more reliable energy storage capabilities to generate electrical power when it is needed. Visit the General Atomics booth at MAST Asia and find out how they are developing advanced power and energy technologies and creating real-world solutions to power mission success.